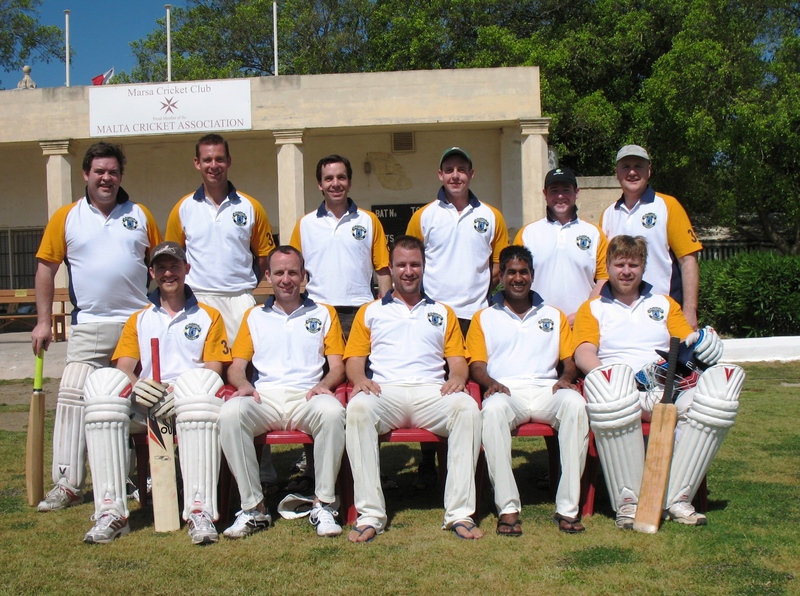 Marsa Cricket Club hosted Steamboat Willies CC and Kamikaze CC for the May Cricket Festival, played in glorious conditions at the Marsa Oval. The home side batted first and reached a respectable 166 runs for 3 wickets, enhanced by an unbeaten 114 run partnership between Mark Sacco (42) and Derek Ali (66). Rod Scotton was the pick of the bowlers for Steamboat Willies with 2 for 22. In reply, the visitors kept up with the required rate and built their innings around their impressive opener Andy Rerr who scored an enterprising 60 runs. Rowan Finnigan (31) and Will Basson (25) ensured their victory with 3 wickets to spare. The maestro Gordon Hewitt took the bowling honours with 3 for 17. In the afternoon match, Marsa batted first against Kamikaze CC and reached the commanding score of 180 off their 20 overs. Sam Aquilina (58), Kalki Kumar (46) and Feroz Ahmed (39) were in dominant form. For Kamikaze, Paul King snared 2 for 20 from his 4 overs. Chasing an unlikely target, Mark Accrington (32) and Steve Highway (32) ensured some respectability for the visitors as they closed on 123 for 4. Marsa’s star bowler was Uday Maclean with 2 for 8 from 3 overs. On a sunny Mother’s Day, Steamboat Willies batted first and reached a colossal 241 for 7 from 30 overs. Will Basson played one of the innings of the season with 78 runs from only 35 balls, including 3 towering sixes. Danny Lee earned the bowling honours for Kamikaze, taking 4 for 41. In reply, Kamikaze lost batsmen at regular intervals. James Hartley earned a well-earned ovation, ending the Kamikaze innings on 52, out of a total of 144 for 9. Rowan Finnigan was the major destroyer for Steamboat Willies with 3 for 8 from 5 overs.